Add a pop of perfect pastel colour to the serving table or kitchen top with the round, solid oak board. 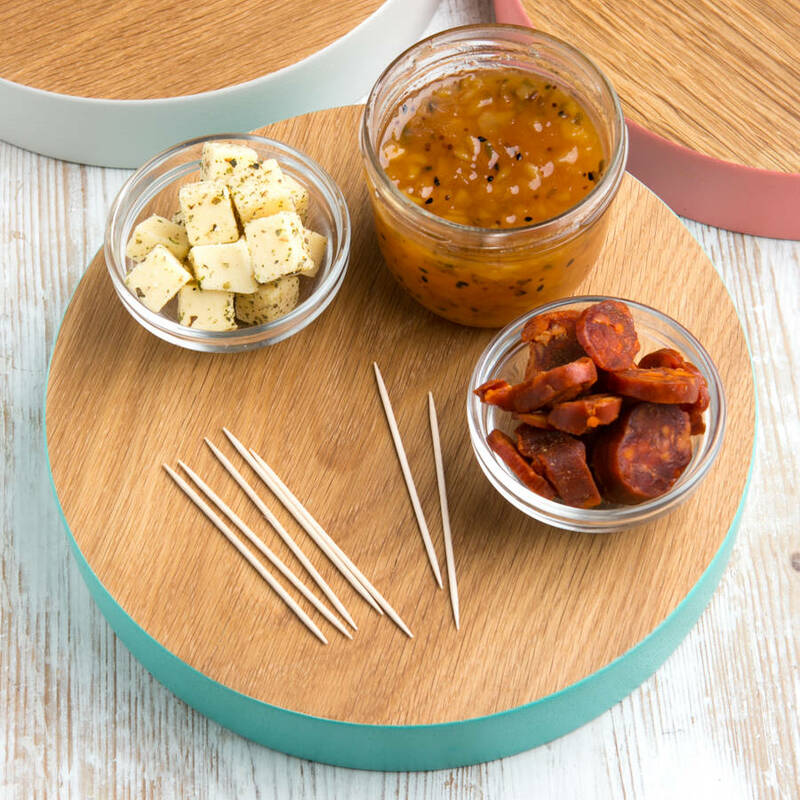 Crafted by hand out of a solid piece of sustainably sourced Oak and finished with a slice of colour on its middle. 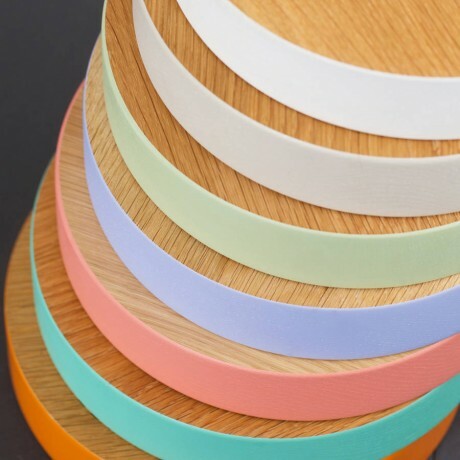 These chunky pastel edged boards are a great addition to any table! Present your chosen hue on your table with tapas, heap it with crusty breads or an array of vibrant fruit, serve with a selection of cheeses or display atop worksurfaces. However the use, this wood block it is sure to be well appreciated. 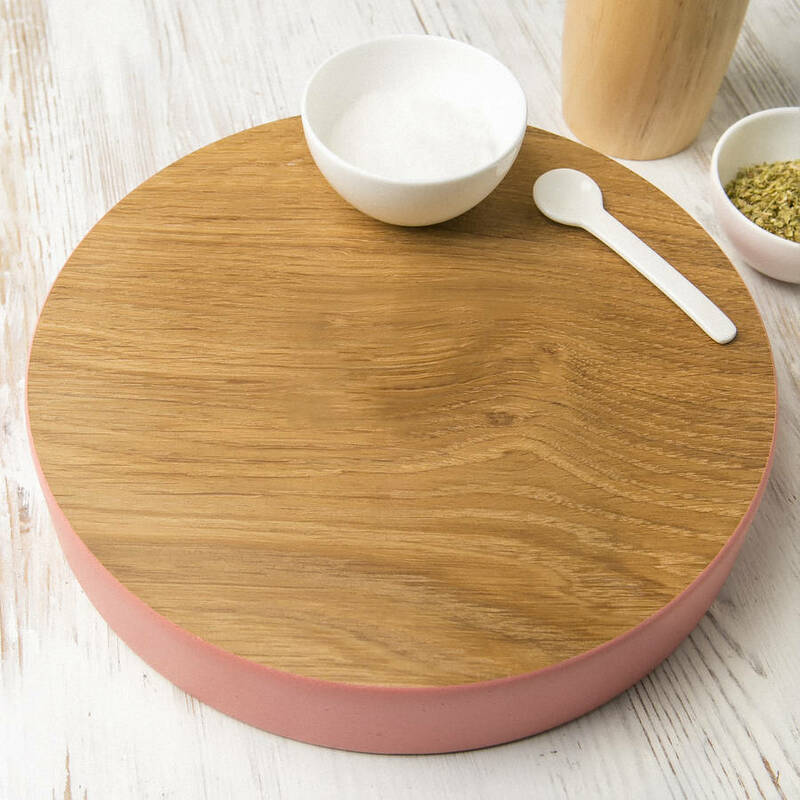 Each board is finished with a food-grade mineral oil which brings out the distinctive grain and colour of each piece of solid oak. 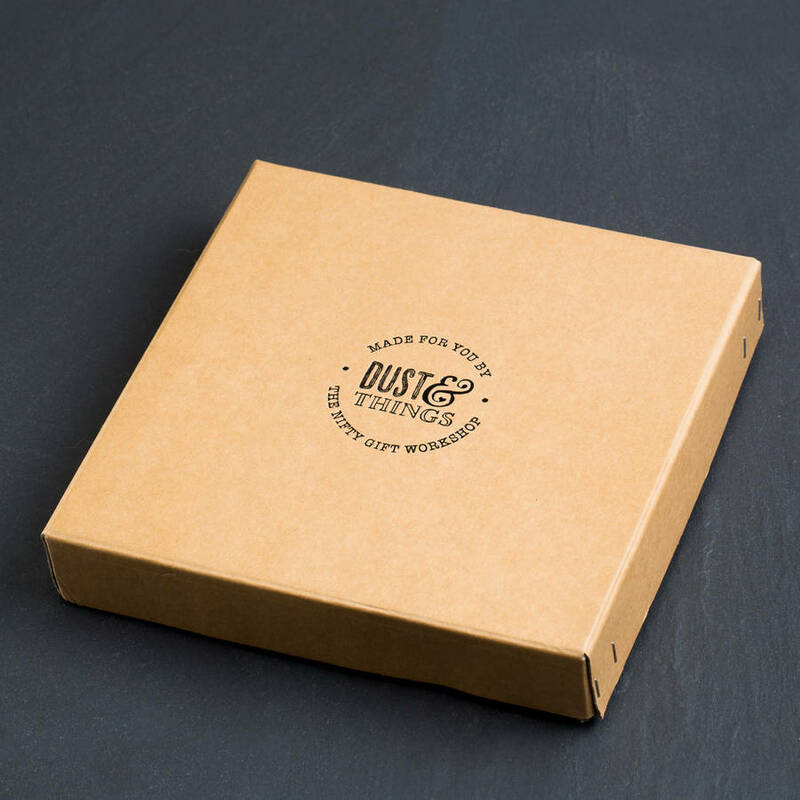 This block is available to have a personalised engraving on the back.